MEGA HIT! 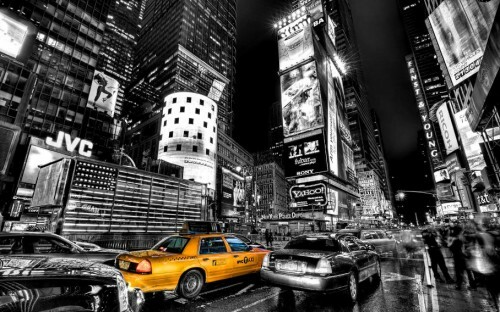 Super cheap flights to New York for only €255! The super cheap flights to New York from Virgin Atlantic are back! 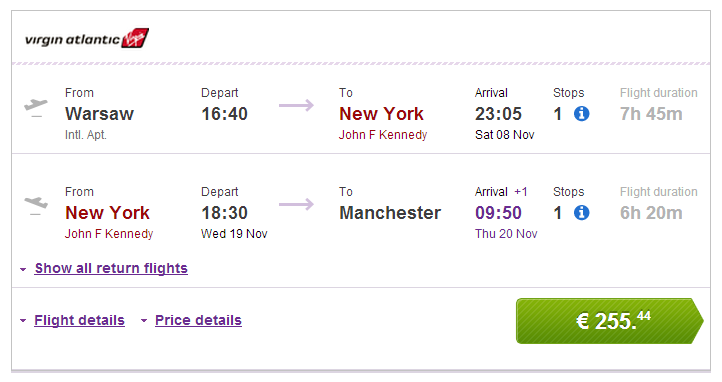 Multicity tickets Warsaw – New York – Manchester are again available for even better price, just €255! You can also return to Edinburgh for the same price or fly from Prague for €337. Travel dates are from November 2014 until end of March 2015. There is one stopover in London. « Cheap last minute flights to Florida from only €325!